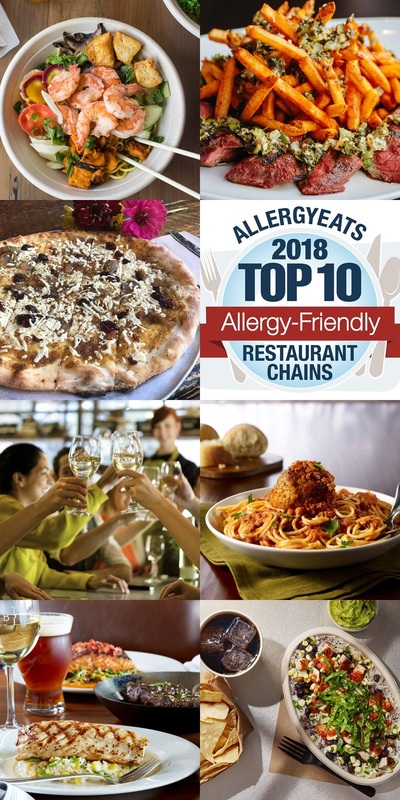 AllergyEats the leading guide to allergy-friendly restaurants in the United States, has just released its 2018 list of the Top 10 Most Allergy-Friendly Restaurant Chains in America. 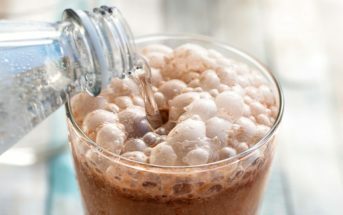 The chains on this highly-anticipated annual list have earned top ratings on the AllergyEats app and website, per feedback from the food allergy community. These chains are rated solely on how well they have accommodated food-allergic diners over the past year. 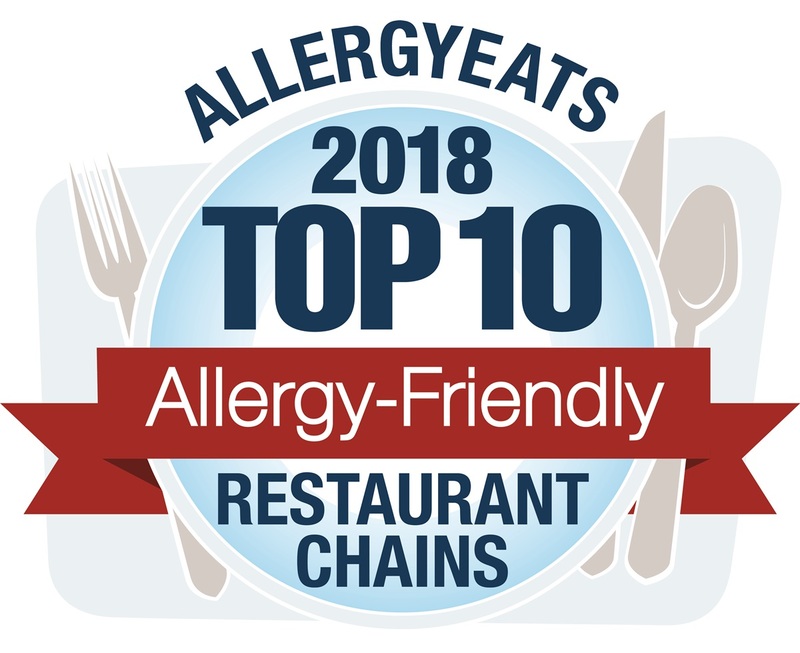 AllergyEats’ Top 10 Most Allergy-Friendly Restaurant Chains are grouped into two categories – large (50 or more restaurants) and small (under 50 restaurants). The list was created per crowdsourced feedback from the AllergyEats app and website through December 31, 2017. Ratings are based on a 1 through 5 scale, with 5 being the most allergy-friendly. 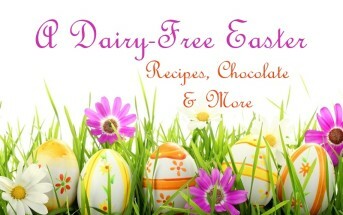 ** Denotes restaurant chains that are new to the list this year. “We are excited to announce that four restaurant chains are new to the list this year, earning top honors for their exceptional food allergy accommodations, as determined by AllergyEats users. 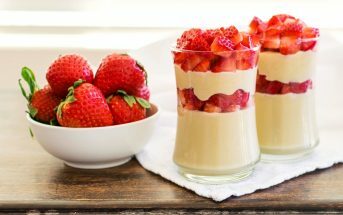 These new additions to the 2018 Top 10 list – Bertucci’s Italian Restaurant, Longhorn Steakhouse, Weber Grill, and 110 Grill – have shown the same outstanding commitment towards accommodating food-allergic guests as those chains that consistently make this list, such as Maggiano’s Little Italy, Chipotle Mexican Grill, Burtons Grill, and Legal Sea Foods,” Antico added. The AllergyEats Top 10 Most Allergy-Friendly Restaurant Chains list – and the growing number of AllergyEats ratings of all restaurants around the country – helps the food allergy community make more informed decisions about which restaurants to visit and which to avoid, based on how well or poorly they’ve accommodated other diners’ food allergies. AllergyEats is a crowdsourced restaurant guide for the food allergy community, available as a free app on both iTunes and Google Play, as well as on www.allergyeats.com. Restaurants are easily searchable by geographic location, so people can find allergy-friendly establishments anywhere in the country. What a great resource, but by the same token, what a bummer. We only have Chipotle out here from all the top picks. That’s all we’ve got in my town, too. I’d actually never heard of any of these restaurants! I guess they must be bigger out east.